Historical developments over several decades reveal the two-party complicity in the total war strategy. This is the second public meeting that we have held in less than a week on the character of the imperialist system and the role of the Left, the nationally oppressed peoples, both in the United States and abroad, along with the working class as a whole, in ending these wars of destabilization, destruction and genocide. The corporate media and the government-sponsored business-subsidized press have sought to foster the narrative which portrays the role of Washington, London, Brussels, Tel Aviv, Riyadh and Ankara as the states which are seeking the protection of the Syrian people. This could not be further from the truth. It was imperialism that initiated the war against the Syrian people in early 2011. Both Libya and Syria were attacked simultaneously in an effort to eradicate the remaining anti-imperialist and progressive governments throughout Africa and the Middle East. We witnessed the demonization of former Libyan leader Col. Muammar Gaddafi right alongside President Bashar al-Assad. Resulting from the political characterization by the corporate media are the most aggravated political and humanitarian crises since the conclusion of the Second World War. Consequently, the forces backed by the administration of outgoing President Barack Obama remain committed to war. 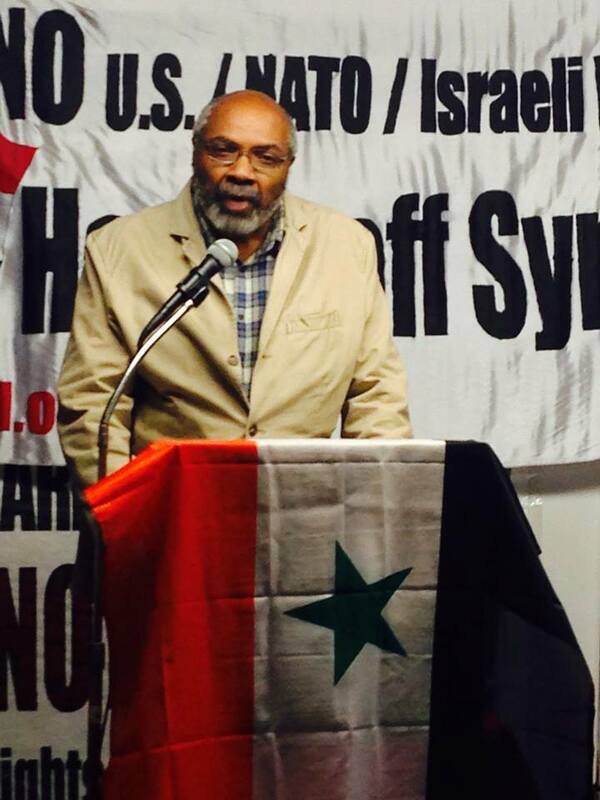 It is our task to continue exposing the fallacy of the notions that U.S. imperialism is on the right side of the struggle in Syria and throughout the region. In Afghanistan during 1979, the U.S. government under the leadership of Democratic President Jimmy Carter unleashed a Central Intelligence Agency (CIA) war of destabilization and counter-revolution in Afghanistan. The country was undergoing a revolutionary transformation led by socialists who sponsored programs aimed at massive land reform, the liberation of women and the nationalization of the economy. Washington considered this as a threat since Afghanistan was allied with the former Union of Soviet Socialist Republics (USSR). Soviet intervention in Afghanistan was designed to defend the revolutionary social process unfolding inside the Central Asian state. Nonetheless, with the political weakening of the Soviet system under President Mikhail Gorbachev, the government in Afghanistan was overthrown. This process was also repeated during the same time period in Ethiopia where we will later discuss a revolution which took place in 1974. The Iraq War was designed to take control of the vast oil resources in this Middle Eastern country where petroleum production had been nationalized. Iraq had a tremendous history of revolutionary nationalist and Pan-Arabist movements. The Arab Baath Socialist Party (ABSP) took power in both Iraq and Syria, although a split within the organization in 1966 would prove vital in analyzing the response to imperialist interventions from 1990-2003. After the invasion and occupation of Iraq in 2003, the stage was set for the destabilization and attempted destruction of the Syrian state. In February of 2011, the counter-revolution was initiated in the North African state of Libya. When the forces loyal to the Jamahiriya were defeating the U.S.-NATO backed rebels across the areas where they had attacked, Washington and Paris engineered two bogus United Nations Security Council resolutions providing a pseudo-legal rationale for the blanket-bombing of Libya, then the most prosperous country on the African continent. The only members of the Arab League who opposed the so-called “no-fly zone” over Libya were Syria and Algeria. Saudi Arabia and the Gulf Cooperation Council (GCC) have taken the public face of the genocidal war against the people of Yemen. Since March 2015, Yemen has been bombed everyday by a number of military forces composing the GCC alliance. This alliance utilizes U.S.-manufactured warplanes, ordnances, intelligence guiding, refueling technology and diplomatic cover. The alliance has also brought in Egypt and the Republic of Sudan which are serving the interests of imperialism against the Ansurallah Movement (Houthis), a Shiite-oriented group which has taken over large swaths of territory in Yemen. The Ansurallah are said to be supported politically by the Islamic Republic of Iran. The war in Yemen in many ways constitutes a proxy war waged by Washington and NATO against Tehran and other anti-imperialist forces in the region. Looking at the current situation in Africa and Asia it is incumbent upon us to continue to advance the anti-imperialist viewpoint. We cannot in any way provide an apology for the role of the Obama administration over the last eight years. The regime has continued and intensified an imperialist militaristic agenda throughout the world. Throughout South America, Central America and the Caribbean the same pattern has been adhered to. There is the ongoing effort to stifle the economic development of socialist Cuba where despite the purported attempts to “normalize” relations with Havana, the embargo remains intact. The incoming administration of President-elect Donald Trump has said that it may not maintain diplomatic status with Cuba. In Venezuela an intense campaign of destabilization and counter-revolutionary disruption is escalating. The government in Caracas recently announced the seizure of children’s toys from corporate interests seeking to hoard consumer goods and therefore deprive the masses of workers the fruits of their labor. These toys seized by the Bolivarian government are being distributed to the children irrespective of class background. Throughout the regions to the South, Washington has been engaged in destabilization campaigns from Honduras in 2009 where the government of President Manuel Zelaya was toppled to Paraguay which fell-victim to a political coup during 2012 against Fernado Lugo. In Argentina and Chile, results from recent elections in local and national polls are to the right of the governments of the socialist and national democratic parties which have held the presidencies in the last few years. Of course in Brazil, the political coup against the Worker’s Party President Dilma Rousseff constitutes a setback for the progressive forces in South America. Pressure is being brought to bear on Bolivia as well as Ecuador, led by socialist leaders President Evo Morales and Rafael Correa. These revolutionary national democratic and socialist parties throughout Latin America and the Caribbean can be strengthened by an anti-imperialist movement here in the U.S. This party must be principled in its positions on the international situation particularly involving the evolving struggle against imperialism and neo-colonialism. Closely related both geographically and politically are developments in the Arabian Peninsula, the Persian Gulf and the Horn of Africa. Separated by the waterways of the Gulf of Aden and the Red Sea, the imperialists in the aftermath of the First World War drew the boundaries between these regions and states in order dominate them. In actuality, we must ask, who determined where Africa ends and Asia begins? It was a small number of western imperialist mapmakers and geo-political strategists whom established how, not only they, but many others, think about the world in political terms. We are completing this year (2016), which represented the 100th anniversary of the advent of the Sykes-Picot Agreement of 1916 at the height of World War I. The British and the French with the Russian monarchy as a junior partner plotted the divisions in West Asia and Northeast Africa that would facilitate the control of the global oil market and military power in the aftermath of the destruction of the Ottoman Empire. The following year in 1917, the Declaration of British Foreign Secretary Lord Balfour provided the illegitimate rationale for the transformation of Palestine into the Zionist state after 1948. It was the Bolshevik Revolution in 1917, and we will celebrate its centenary next year, that published the secret Sykes-Picot Agreement prefiguring political events that would shape the anti-imperialist movement for the following 100 years. With special reference to the Horn of Africa let us look at several post-colonial states as case studies on the role of imperialism in destabilizing and underdeveloping Africa in the contemporary period. A central focus of Washington’s foreign policy in the Horn of Africa has been in the nation of Somalia where several direct and indirect interventions have taken place over the last four decades. In 1969, a military coup took place inside the country declaring itself the Supreme Revolutionary Council (SSRC) which eventually committed to a socialist and anti-imperialist orientation. The leader of the military seizure of power was General Mohamed Siad Barre who announced in several months that the country was turning away from the West and enhancing already existing relations with the Soviet Union and other socialist states. In its early phase the takeover by Siad Barre gained widespread popular support through mass demonstrations in the capital of Mogadishu and other cities. Several leading left-wing intellectuals and groups pledged loyalty to the new government. Soon enough the U.S. administration under President Richard M. Nixon cut off aid to Somalia which the new government utilized to justify its socialist intentions. The Somalia leaders then announced the strengthening of diplomatic ties with the German Democratic Republic and the Democratic People’s Republic of Korea (DPRK). Over next few years significant reforms were instituted including literacy programs, large-scale land reform, establishing public works projects along with an expanded role for the military. The country began to play a larger role in international affairs serving as chair of the Organization of African Unity (OAU) in the early 1970s. In 1971, an OAU Summit held in Somalia issued the Mogadishu Declaration saying that the only way that African people in the colonized territories in the sub-continent could gain their liberation was through armed revolutionary struggle. In 1974 a general strike erupted in neighboring Ethiopia where taxi drivers and students set off the population in a revolt against the U.S.-backed monarchy of Haile Selassie I. By later that year the monarchy was toppled and a council of lower-ranking military leaders supported by several left-wing organizations took power. Nonetheless, it is important that an assessment of the Somalia situation be reviewed in order to understand developments between Addis Ababa and Mogadishu which had deteriorated to the point of war in 1977-78. Siad Barre had sought the incorporation of the Ogaden region with its ethnic Somali population. This was viewed as an encroachment by the Provisional Military Administrative Council in Addis Ababa, known commonly as the Dergue. Although Cuba and the Soviet Union were supporting both Somalia and Ethiopia at the time, they objected to the partitioning of Ethiopia. As the war proceeded Cuban internationalists and Soviet advisers backed the Ethiopian position delivering a categorical defeat to the territorial ambitions for a “Greater Somalia”. The U.S. administration under Democratic President Jimmy Carter gave indications that it would support Somalia militarily in the war however this failed to materialize for several reasons. One of course was related to the defeats of U.S. imperialism in Southeast Asia with the triumph of the revolutionary socialist forces in Vietnam, Laos and Cambodia in 1975. Moreover, the overthrow of the Portuguese fascist regime by an internal left-wing coup led by the military on April 25, 1974 in Lisbon paved the way towards a speedy independence process in Guinea-Bissau (1974), Mozambique (1975) and Angola (1975) along with the recognition of Goa in the Indian sub-continent. In Angola, the imperialists sought to militarily impede the genuine and total independence of the country through the support of synthetic western-backed “liberation groups” and the direct intervention by the racist South African Defense Forces (SADF) from Pretoria working in conjunction with CIA-coordinated operatives and mercenaries. The imperialist conspiracy to deny state power to the Marxist-led Popular Movement for the Liberation of Angola (MPLA) failed with the assistance provided by 55,000 Cuban internationalists, cadres of the Southwest Africa People’s Organization (SWAPO) in addition to support from other African states including the military government in Nigeria under Murtala Mohammed and the Democratic Party of Guinea (PDG) led by President Ahmed Sekou Toure in Conakry. Consequently, the imperialist camp had been weakened politically prohibiting it from launching a full-scale operation in the Horn of Africa which would have placed them directly in conflict with socialist Cuba and the USSR. Another humiliating defeat of the U.S. would embolden the legitimate liberation movements in the-then still settler-colonized territories in Zimbabwe (Rhodesia), Namibia (Southwest Africa) and the apartheid Republic of South Africa. Nevertheless, the role of the socialist countries in their defense of the Ethiopian Revolution in 1977-78 led to the shifting of allegiance by Mogadishu to U.S. imperialism. This change of political direction combined with other domestic contradictions brought about the rapid decline of the Somalian state. By the early 1980s, the country would be plunged into famine other economic crises. Siad Barre held on until 1991 when his regime was no longer a priority of Washington in light of the collapse of the Soviet Union and other socialist states in Europe. By December 1992, the U.S. under President George W. Bush, Sr. had directly intervened in Somalia with 12,000 Marines. By the time the administration of President Bill Clinton had taken power in 1993, the occupation had turned into a counter-insurgency operation against the Somalian people who forced the withdrawal of Washington and its NATO allies fighting alongside the U.S. under the banner of the UN in early 1994. Somalia has been occupied once against for the last decade by the African Union Mission to Somalia (AMISOM). Some 22,000 troops stationed in the oil-rich country are funded and trained by the Pentagon, the CIA and the European Union (EU). After ten years the EU is seeking ways to extricate itself from the Horn of Africa country. Consequently, the imperialist project in Somalia is facing a crossroad where the West is pondering alternative means of maintaining control of the political and economic direction of the area. Despite these military interventions, Somalia and its breakaway regions are still impoverished suffering from food deficits and the lack of economic development. Somalia and neighboring Ethiopia at present are major bases for Pentagon and CIA intrigue not only in Africa but extending into the Arabian Peninsula where the war in Yemen continues. As we mentioned earlier, 1974 was a turning point in the history of Ethiopia when a popular uprising against the Washington-backed Monarchy erupted. A series of political events from 1974-77 led to the declaration of Ethiopian as taking a socialist path. There was monumental land reform, nationalization of resources and literary campaigns. The complexities of the Ethiopian revolutionary process and its internal struggles extend beyond the capacity of the present forum. Nevertheless, in a relatively short period of time the Dergue was taken over by Col. Mengistu Haile Mariam. In the aftermath of the war with Somalia in the Ogaden region, efforts were undertaken to establish a Worker’s Party of Ethiopia (WPE). The Ethiopian Revolution maintained firm ties with the Soviet Union, Cuba, the GDR, and the DPRK along with the liberation movement in Southern Africa: the Zimbabwe African National Union-PF, African National Congress and SWAPO. Internally there was the failure to end the wars against Eritrean independence, a former Italian colony and British Protectorate, which was incorporated into Ethiopia under the Monarchy during 1952-1961. A war by Eritrean nationalists evolved by 1970 where the Eritrean People’s Liberation Front (EPLF) became the primary organization seeking the independence of the area, which Addis Ababa was dependent upon as a link to the waterways of the Red Sea. Also the internal contradictions which arose under Monarchial rule in the Tigray and Oromo regions continued. The Tigray People’s Liberation Front (TPLF) and the Oromo Liberation Front carried on an armed struggle against the Ethiopian government throughout the 1980s, weakening the state. The collapse of the Soviet Union and the GDR brought about the evaporation in assistance to the WPE government and the eventual abandonment of the Ethiopian Revolution. By May 1991, Mengistu and the WPE had been toppled leading to the ascendancy of power by the TPLF-led Ethiopian People’s Revolutionary Democratic Front (EPRDF), by then supported by the U.S. State Department. In addition, the EPLF declared Eritrea independent leading to elections confirming its independence in 1993. The small former French colony of Djibouti won its independence relatively late in comparison to many other states in East Africa. It was in 1967 that the country was renamed as the French Territory of the Afars and Issas. There is a large Somalian population in the area along with other groups which are related to various nationalities within neighboring Ethiopia as well. It was not until 1977 that the country was declared independent. In recent years a military base at Camp Lemonnier has become the largest known outpost for the U.S. imperialist policy in the Horn of Africa expanding the Pentagon’s reach right across the Gulf of Aden into West Asia in the Arabian Peninsula leading to the Persian Gulf. Under the Obama administration the role of AFRICOM on the continent has expanded immensely. There was the announcement two years ago that 3,500 Special Forces and military training units would be deployed across the continent. A network of airstrips and naval expeditions are coordinated by AFRICOM in collaboration with a host of neo-colonial dominated regimes. The counter-revolution against the Jamahiriya in Libya was the first full-blown AFRICOM project which resulted in an enormous setback for the African Revolution. In Mali during March 2012, a lower-ranking military officer Capt. Amadou Sanogo served as the public face of a coup against the elected government of President Amadou Toumani Toure. This individual was trained in several Pentagon military schools in the U.S. contradicting the claims by Washington that its AFRICOM projects would foster stability. With the military coup in Mali and the failure of the regime to handle the rebellion of the Tuarag minority in the North, provided a justification for French intervention which was supported logistically and politically by the Obama administration in early 2013. France which held numerous colonies in Africa, the Asia-Pacific and the Caribbean, was in no position to assert its goodwill in its invasion of Mali. Although the Socialist Party of Francois Hollande ordered the troop deployments to Mali, it was the Conservative regime of Nicholas Sarkozy which played a significant role in the bombing of Libya and the overthrow and murder of Gaddafi. France since the invasion of Iraq has followed the lead of U.S. imperialist policies in Africa and the Middle East. After the attacks by terrorist groups in France, Paris joined in the bombing of Syria under the guise of fighting “Islamic terrorism.” By the way it was these same “terrorist groups” that were utilized in the overthrow of Libya as well as the war that has been waged against the Syrian state since early 2011. Hollande is saying that he will not seek re-election in the upcoming French polls of 2017 yet its imperialist policies towards Africa and Asia will continue in the absence of a Left anti-imperialist movement inside the country. Here in the U.S. we must learn from the contradictions which have developed in Western European states including France, the United Kingdom along with Germany. Any Left movement lacking a firm anti-imperialist and anti-racist character is doomed to failure resulting from its national exceptionalism which objectively aids the imperialist system. Therefore, in reviewing these developments over the last four or more decades teaches us that we must maintain our anti-imperialist program throughout both or foreign policy and domestic efforts. 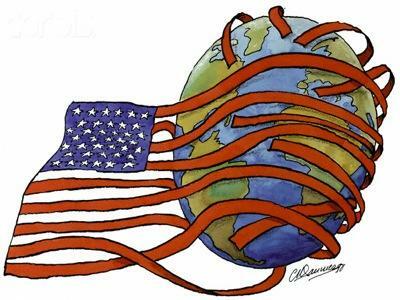 We have nothing to gain from aligning ourselves directly or indirectly with the ruling class interests of the U.S. and Europe during this period. This takes us back to our introductory remarks on developments in Syria. There are a myriad of efforts to shape a narrative towards Syria which reinforces the failed imperialist policies of the last several decades. These failures in Africa and Asia have even prompted a sharp debate among the ruling class themselves over how to pursue their imperialist program in light of events in Syria, Yemen, Iraq, Afghanistan, Haiti and other geo-political regions. Some have unfortunately bought into the notion that President-elect Donald Trump represents some type of break with the former policies of war, poverty and displacement. Yet all one needs to do is take a cursory look at the backgrounds of the Generals, bankers, fast food low-wage slave drivers and oil magnates he has nominated for the cabinet in order to see in which direction the ruling class heading. There is the immediate threat of war with the People’s Republic of China which is a product of both capitalist parties whom are trying to contain Beijing and reclaim Washington’s dominance of the Asia-Pacific. However, a military conflict with China would prove disastrous for U.S. imperialism. China since 1949 has made tremendous gains socially, economically, militarily and diplomatically. Many states across the African continent have entered into agreements with Beijing which are proving instrumental in building infrastructure and technical capacity. Other development projects have been launched in cooperation with Latin American and Asian states. The Brazil, Russia, India, China and South Africa (BRICS) Summit has sought to build alternative sources of financing for emerging economies which could by-pass the much-dreaded International Monetary Fund (IMF) and World Bank (WB). These efforts have come under ferocious attack by imperialism. The government in Brazil has been overthrown as mentioned earlier. Russia has been subjected to draconian sanctions over its opposition to the U.S. coup against an elected government along with the war program in Ukraine. In India a currency crisis over the last several months has swiftly reversed the economic progress made in this large Asian state. In China, the Communist Party government is grappling with the impact of the world economic crisis over the last nine years. The ANC government is South Africa, having to adjust to the precipitous decline in commodity prices and capital flight is also coping with a recession amid a fracturing of the political landscape. Although these setbacks have taken place there is no other course than socialist development and anti-imperialism. We have seen the decline of capitalism over the last decade. In Detroit and the state of Michigan, the Moratorium NOW! Coalition and the Michigan Emergency Committee Against War & Injustice (MECAWI) has not only fought the imposed crisis but in due course crafted a theoretical approach to these issues. We say clearly that it is the banks and multi-national corporation which are at the root of the impoverishment of the masses of workers and the nationally oppressed. In Detroit billions in tax breaks and subsidies are handed over annually to likes of General Motors, Fiat Chrysler, Quicken Loans, Illitch Holdings, among others, while the majority African American population is being systematically driven out of the city along with Flint, Highland Park, Inkster, and other municipalities. What is often passed off by the corporate and government-controlled media as progress and development is merely another ruling class scheme to transfer additional wealth of the people into the coffers of the capitalist class. The politicians who have been placed on top of the masses serve the causes of the ruling interests. They cannot pass any resolution or ordinance without first taking into consideration the responses of the minority bourgeois clique. The courts and law-enforcement entities are there to only protect the interests of private property and the comprador state. There are no indications that any of this will be altered in our favor over the next four year without a mass movement led by the workers and the oppressed. Consequently, this is our Line of March into 2017 and beyond. We need the support of every honest community activists, youth organizer and progressive thinker. This is not an emotional struggle but one defined by the objective conditions which we are facing involving class dominance, economic exploitation and national oppression. We are continuing to build our internal structures aimed at adapting to the present situation so that our effectiveness will be magnified in the emerging period of reaction and counter-revolution on the part of our class adversaries. Thank you very much for your attention and interests. The above text was prepared, and delivered by Abayomi Azikiwe at a Detroit Workers World Party public forum held on Sat. Dec. 17, 2016 on the international situation reviewing developments in Syria, Afghanistan, Yemen, South Africa and the Horn of Africa. The program featured presentations from Jim Carey of Geopolitics Alert on the history of imperialist interventions in Afghanistan; Randi Nord of Geopolitics Alert who spoke on the war against the people of Yemen coordinated by the United States; Joe Mshahwar gave an overview of the events in Syria since the defeat of armed opposition forces in Aleppo over the last several days; and Martha Grevatt of the UAW and Contributing Editor to Workers World newspaper reported on her recent visit to Durban, Republic of South Africa where she attended the 17th Congress of the World Federation of Trade Unions (WFTU). The gathering which was well attended was chaired by Kayla Pauli, a candidate member of Workers World Party in Michigan.